I must really post more often on this blog and will try. For those who do not follow my main blog I have been doing my Master of Nursing and finally last month passed and the recommendations and changes were approved 2 weeks ago so off to the printers now, which means more time for me. So far I have been reading lots of books .... lots.... and getting some stuff ready for the local A&P show in a few weeks time. 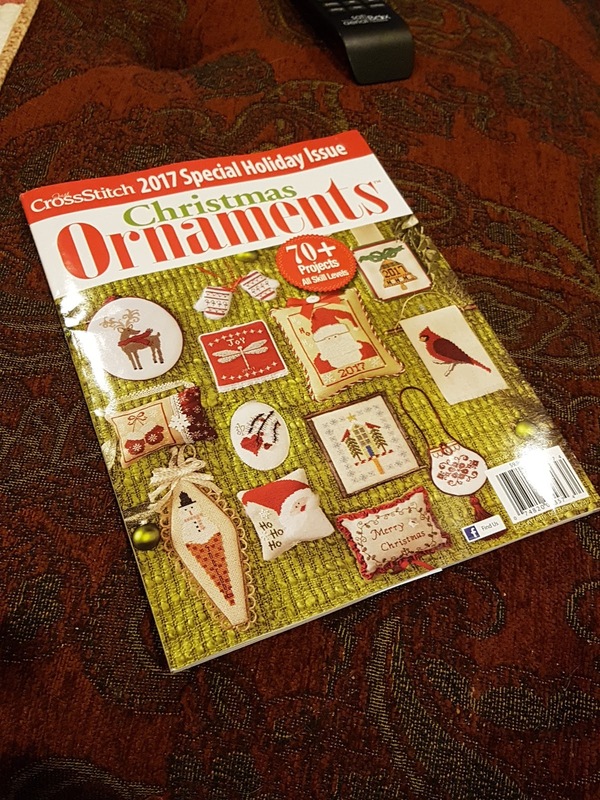 However I do need to get back into my first love which is cross stitch, and what would get me into the mood ..... a Christmas cross stitch magazine. I have already chosen my first one and after getting the show bits finished I will get into it. Congratulations on passing your Masters. That is a wonderful achievement. I've got the same mag and have just about finished stitching my first ornament from it.